For one week in March, Berlin's contemporary museum Hamburger Bahnhof held an exhibition of the art works that had been part of “Auktion 3000”, an art auction organized to raise funds for the development of Christoph Schlingensief's (1960-2010) opera village, “Remdoogo”, in the African nation of Burkina Faso. Artists and galleries from all over the world responded – immediately – to the cause by donating their works. 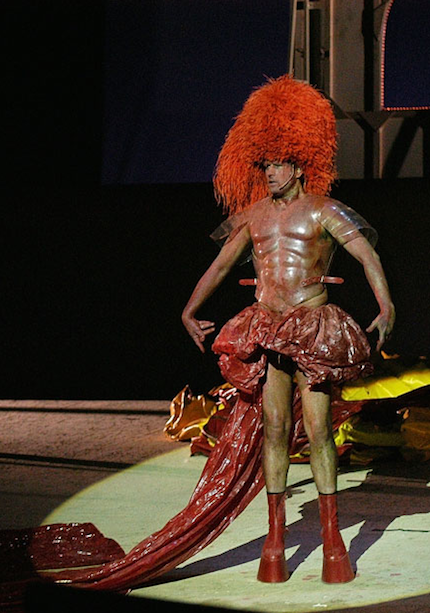 When the German artist and director of theater, film and opera died in August of 2010, “Operndorf Afrika”, which he called his most important project, remained unfinished. In the winter of 2010 the artist managed to take part in the placing of the village's cornerstone, burying in the ground a thick tube containing a film that he had made when just ten years old. The work in Africa still continues, but unfortunately, without its creator. 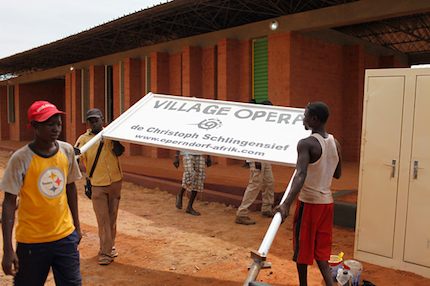 Schlingensief's idea to create an opera village in Africa was born of his feelings that the European practice of art had come to a dead-end. He believed that the institutional network had completely smothered creative freedom and its directness and lucidity. The entrance of reality into art and the reemergence of art back into reality – this transformation, Schlingensief said, is basically impossible to practice now. 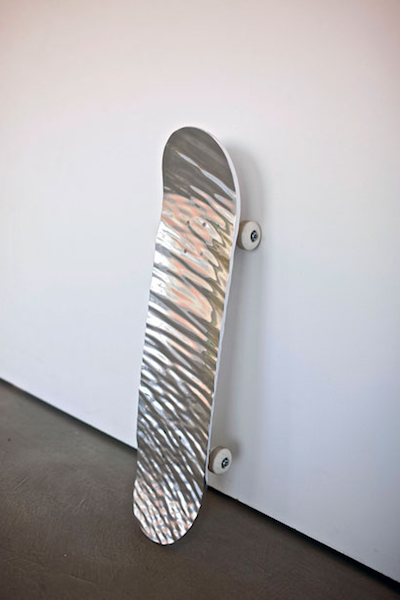 If art starts living in a ghetto, it looses its meaning. Having gone to Africa for the first time in 1993, Schlingensief would return time and time again. The realness, harshness and nakedness with which Africa confronted the artist turned out to be a powerful fountainhead for his own creativity. And this is exactly the idea behind Schlingensief's African opera village – to make a place for the creation of art, completely free of any outside stipulations. A place where people could meet, create, exchange thoughts and ideas, and work together or alone. This wasn't the infamous German Kulturträger – transmitting cultural ideals to “backwards” countries, but rather an entity with a completely opposite aim. “Africa doesn't need us – we need Africa. 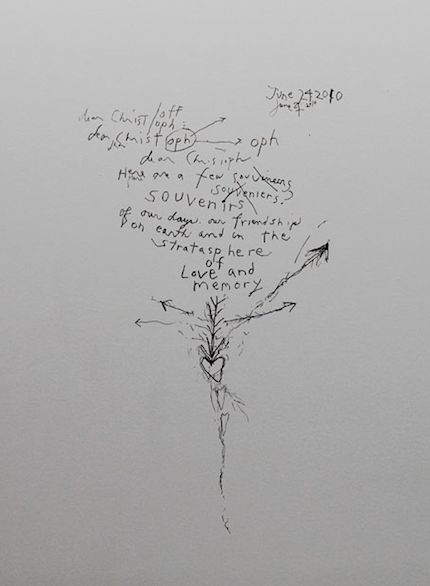 To get back to the sources of creativity.” The Africa that Schlingensief experienced was a place of spiritual purity. Schlingensief's opera village doesn't have anything in common with those opera houses that are built with European money for world-famous singers and symphonic orchestras to perform in. 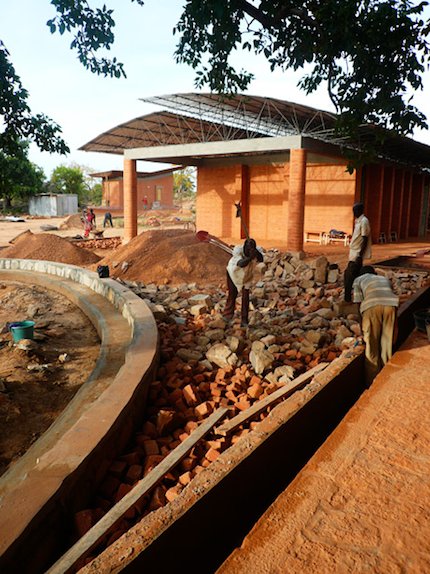 The project, created in cooperation with the architect Francis Kérés and located 30 km from Burkina Faso's capital city of Ouagadougou, includes plans for a school, infirmary, creative workshops, a sound studio, living quarters and an opera house in which to present theater, opera and film. It's a place where both local children and artists from around the world will be able to partake in creative activities. The village of “Remdoogo” itself was planned as a work of art – a social sculpture, as Schlingensief understood it: “Art can do much more that just be l'art pour art. In the best scenario, art is an organism in which life combines with art, resulting in the combination of completely new forces. The relationships between people should become the biggest work of art.” Schlingensief's wife, Aino Laberenz, and his friends and colleagues continue to bring his legacy to life. 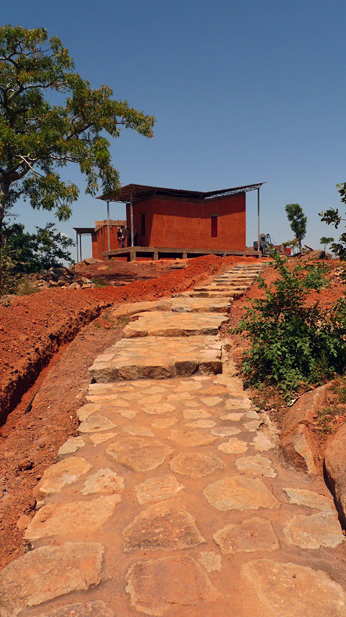 In October 2011, the village's first completed building was ceremoniously unveiled – a school which the local children will be able to attend for six years. Along with their regular curriculum, the children will have the opportunity to learn music, art and film-making. Schlingensief's vision was to create something different than the expected European tradition of high culture; his dream was a melting-pot of art, in which all sorts of cultures would meet on equal terms. In this project, a school would be the first starting point. 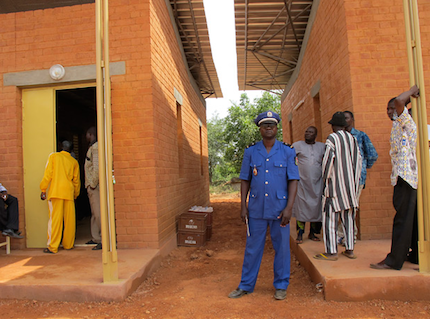 The next stage would be an infirmary, where people could receive necessary medical care. Schlingensief saw his opera village developing in the shape of a snail's shell, uncoiling with force and energy: “We're broadening the definition of opera; we're putting aside all of the stereotypical preconceptions of opera: overweight people fancily dressed-up and fighting to reach the right note, and opera aficionados who are happy even if the singing is off. We don't have anything to do with that. Our opera is a village, a body of social sound, a social sculpture. In this village, life is art. Emotionally powered by Patty Smith's spontaneous a capella performance dedicated to her one-time comrade-in-arms, the March auction held at Hamburger Bahnhof earned 1,205,000 euros for further development of the opera village.